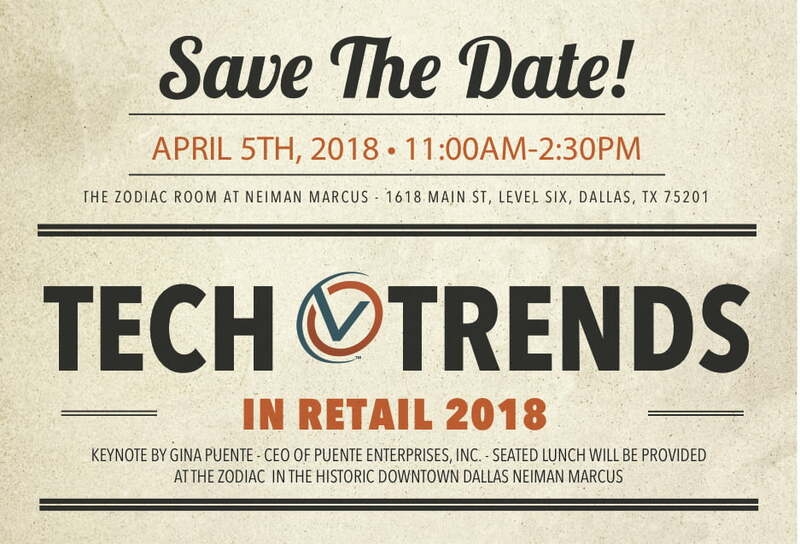 Gearing up for Tech Trends in Retail 2018, we asked our keynote speaker, Gina Puente, a few questions to get to know her better. With 200 employees, Gina Puente Enterprises, Inc. serves consumers at DFW International Airport, George Bush International Airport, and Dallas Love Field. Gina has disrupted the airport concessions industry with her innovative concepts of newstands, currency exchanges, and restaurants. Starting the first winery and tasting room in a domestic airport, Gina has paved the way for something new in airports: luxury. Puente Enterprises, Inc. represents: Sky Canyon by Stephan Pyles, Travelex Currency Services, UFood Grill, Blimpie Subs, Cereality Cereal Bar, Nrgize Smoothies, Urban Taco, La Buena Vida Vineyards, Main Street News, and Wall Street News. RevTech: What are you most proud of? Gina: I am most thankful for the opportunity to present ideas, products and concepts to a worldwide audience on stages like DFW International Airport, George Bush International and Love Field. I am proud that my team and I can go head-to-head against the big boys 24/7/365. We have competed well as a team against global, multi-billion dollar concessionaire companies for over 25 years. RT: What was your first job ever? Did it teach you anything? G: My first job was being picked as the Channel 11 Kid, doing commercials for KTVT’s afternoon programming. My Mom got me this first gig when I was 9, just by chatting up a guy on a flight who was looking for a kid to do these TV commercials. My Mom taught me two things early on: never be afraid to ask for what you want and take advantage of Moment Seizures. Have No Regrets! RT: What do you work toward in your free time? G: Free time? When found, international travel is my muse that inspires me and never disappoints. RT: What books are on your current reading list? RT: What is the one piece of advice that has stuck with you? RT: What has been a big challenge to overcome? G: Jumping over the many obstacles when rolling out a unique innovative concept: disbelievers, naysayers, governmental bodies, linear thinkers, institutional rules and structure, having to deal with people who have not been in the role of an entrepreneur, general buzz killers who not only do not add value to the project, but seemingly want to drive up costs & derail progress. There is no road map when you are on the bleeding edge. In terms of business climate: finding great talent that fits into the airport culture. RT: What advice would you give to someone who is looking for a mentor? G: Depending on what you are seeking, I would focus on the disasters, the mistakes, the horror stories. That is where the meat is. 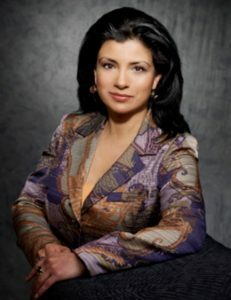 Join us this Thursday, April 5th to see Gina Puente speak of her entrepreneurial journey.